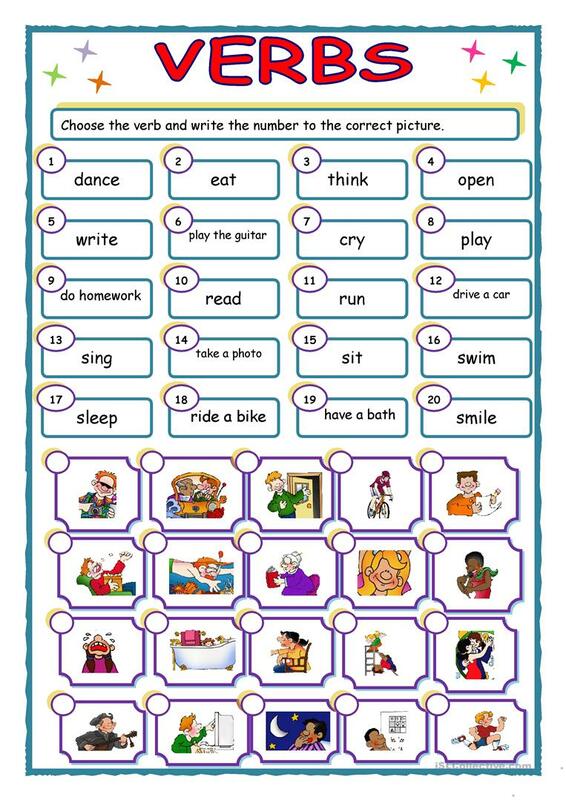 Choose the verb and write the number to the correct picture. Funny way to learn verbs. The present downloadable worksheet is intended for elementary school students at Elementary (A1) level. It is aimed at teaching Verb patterns in English.